Our New Empowered Signature Program for Ageless Women! The Way of the Wise Woman is the sacred passage of ageless time that guides a woman through the many stages of the Wisdom Years. These are the years of The Wise Woman, as the passage of time increases a woman’s ageless wisdom with a deeper awareness and personal truth regarding her relevancy, presence, visibility, spirituality, intuition, voice and beauty. The Wise Woman intuitively knows that it is not the aging process that defines her, but the ageless degrees of wisdom learned, earned and accrued through personal life experiences of joy and sorrow. 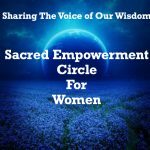 We developed The Way of the Wise Woman to empower women on how to embrace their wisdom years as a sacred time of increased conscious awareness in pursuit of ageless personal authenticity, purpose and well being. Many women see their wisdom years as an opportunity to become leaders and changemakers within their chosen field to create the change they wish to see in the world. Yet the Wise Woman intuitively knows that to become positive leaders and changemakers within the world or one’s personal environment, they must first become leaders and changemakers on a deeper, more sacred level within themselves. Career Path Success new program, The Way of the Wise Woman, recognizes that in order to create personal change and transformation, we must first address Who Am I on deeper levels of self and spirituality with greater awareness of our intuition. Merge – Discovering, Recognizing and Aligning to your Highest Power, which we call the Authentic Self. Know – As you align with your Authentic Self, you develop a deeper awareness of your intuition, your wise Inner Knowing as the powerhouse within you that drives increased self-confidence, clear decision making, and trusted personal guidance. BE – As you merge with your Authentic Self, you begin to Know and recognize the power of your intuition which leads to BEcoming an empowered Ageless Wise Woman. I am Mary Jane Brigger, Woman’s Sacred Empowerment, and Intuition Development Consultant, Ageless Wise Woman and Owner of Career Path Success, LLC, I have over 35 years of corporate, small business, career building, spiritual guidance and personal transformation experience to address women’s specific mind, body and spiritual needs. At Career Path Success, we offer a Complimentary 30 Minute Consultation for all our services to enable our clients the opportunity to see if The Way of the Wise Woman programs and services are right for them.